Rose Green Tea is a new fashionable green tea. It is a unique way of drinking green tea. The taste and flavor of green tea and rose tea are well balanced. 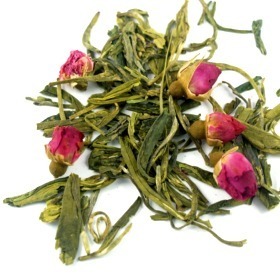 Rose Green Tea gives a soothing and relaxing effects with great green tea health benefits. Rose Green Tea can be drank any time of the day.